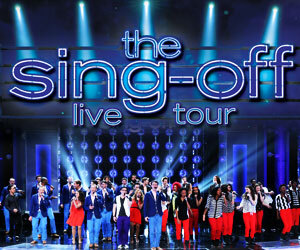 NBC’s hit TV show comes live to the AMT stage with The Sing-Off Live Tour – A Night of A Cappella. The Sing-Off Live Tour will feature the newly crowned best a cappella group in the country, along with other finalists from season 4 of The Sing-Off, performing their a cappella versions of the biggest chart topping songs viewers fell in love with from the show. The tour will include individual sets from each act, all new group numbers, ultimate sing-off’s and a few new surprises. These amazing performers will create all the music you hear with just their voices.